Security experts suggest using reliable VPN services for online anonymity and security. However, selecting top VPN services isn’t that easy. There are easily over 300 VPNs in the market. And they all promise high-grade encryption, fast speeds, and anonymity. How Do You Find the Best VPN Among So Many Options? To be honest, the online world is full of biased VPN reviews. VPN companies know that and they pay reviewers to write good things about them. This is why it’s very important to find the right VPN that’s truly reliable and not just paid to be termed reliable. At Anonymster, we test VPNs and write honest reviews so that you can get the best VPN services. Every few months, we test all the VPNs once again to make sure the VPNs ranked as reliable by us are still providing consistent services. 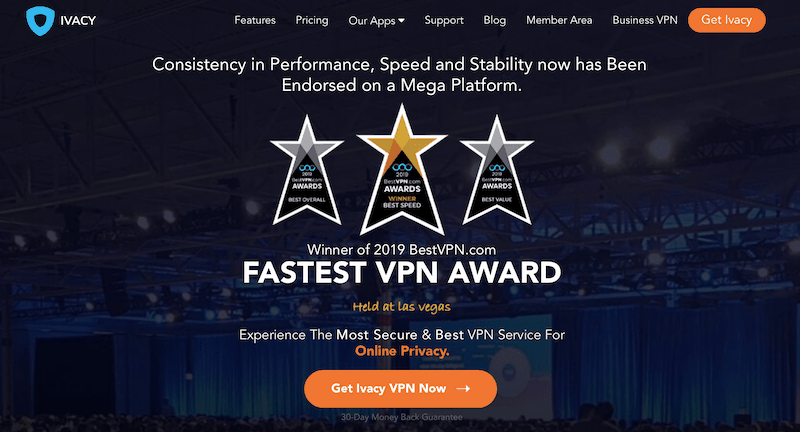 So the best VPN 2017 might be different than the best VPN 2018 and best VPN 2019. Provide you anonymity and hide your details from the government. Don’t track your usage so your activities cannot be revealed to the government. Bypass geo-blocks effectively and let you access an unrestricted internet, no matter where you’re located. Offer high speeds so you can stream content without any lags. All VPNs cannot be good at everything. For example, a VPN might be super fast but it might not work in China. Another VPN might unblock Netflix and Hulu but might lag in speeds. Here are some factors we keep in mind when selecting the best VPN for you. Speeds: If you’re a movie/TV buff or a gaming freak, there’s really no point in getting a VPN that doesn’t offer high speeds. You can’t play a game if it lags too much. And you cannot enjoy a movie if it breaks and buffers in between. Logging policies: The main reason for using VPN services is to stay secure from snooping entities such as hackers and government. If your VPN keeps a track of your activities, there’s no point in using a VPN in the first place. If you’ve been torrenting and the VPN providers give away your details to the government, you can land in prison! It’s very important to select a VPN that doesn’t track your activities. Privacy features: It’s important to see the type of encryption the VPN provides. While most of them offer military-grade encryption, you need to make sure of this before purchasing a subscription. VPN tunneling protocols also play an important role in the decision-making process. Netflix/Torrenting: There are many people who get VPNs just so they can stream their favorite shows or movies. And then there are some who want to stay secure while torrenting. For all these people, it’s important to get a good VPN that allows them their desired facilities. Customer service: When the VPN is running, you don’t care about customer service. However, if there’s a problem with the VPN, you’ll appreciate a fast support system. If you’re trying to connect to a VPN to watch a big sports match and the VPN fails, you don’t really want to wait for the customer support to email you back in a few hours. You’d want live support right there and then. Costs: Lastly, costs are an important factor too. People are often afraid of paying for online services and this is why they go for free VPNs. These free VPNs hurt them in the long run. The good news is that most top VPNs offer affordable and reliable services. Give these criteria, let’s now look at some of the top VPNs. Here are the best VPN services that we have selected on the base of the criteria mentioned above. We have also mentioned a small summary of each product so you can read the VPN review and find the top VPN for your needs. It’s hard to find one best VPN service for all needs. You need to find the one for your specific requirements. ExpressVPN offers services to suit all needs. Whether you’re looking for a VPN for your privacy needs or to stream Netflix, this one can help you out. It’s located in the British Virgin Islands and offers AES-256 bit encryption along with a choice of protocols including OpenVPN and IPSec. Apart from the standard VPN features, it also has some extras, such as split tunneling that allows you to send some traffic through an encrypted tunnel and the remaining through the regular internet. It unblocks Netflix and also allows P2P so whether you like to stream movies or to download them, ExpressVPN is the right choice for you. You can do VPN comparison to see that this VPN scores higher than every other VPN provider out there. While ExpressVPN is certainly one of the best VPN services out there, it is a bit costlier than others. However, you can get their yearly plan and save some money. And you don’t have to worry about your money as they offer a 30-day money back guarantee. CyberGhost will help you access geo-blocked websites and keep you protected when you use public Wi-Fi networks. It offers fast speeds that are great for torrenting, streaming, and gaming. And since it unblocks Netflix and allows P2P, it’s a great choice for movie and gaming lovers. CyberGhost offers military-grade encryption to make sure your online banking transactions are safe and your online identity is protected. And with their no-logs policy, you don’t really have to worry about being tracked. While CyberGhost is among the top VPN providers, they offer pretty affordable rates. Plus, when you purchase a subscription, you’re covered by their 45-day money back guarantee. This means that you can purchase a license and if you feel that the services are not what you expected, just claim a refund. With unlimited bandwidth offerings, you can stream as many movies and shows as you want. They have a number of protocol choices including OpenVPN and L2TP-IPSec. 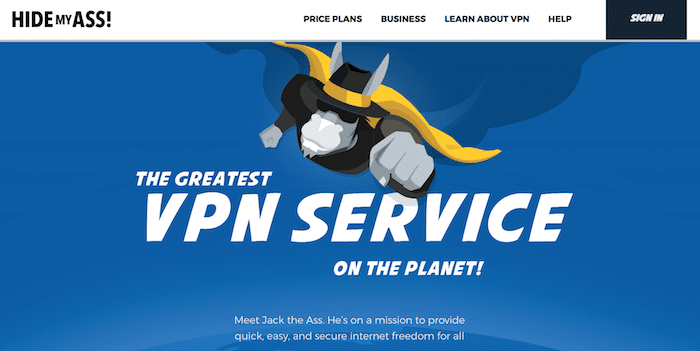 If you’re looking for the best-paid VPN, this could be it. It has high VPN ratings and is also very affordable. 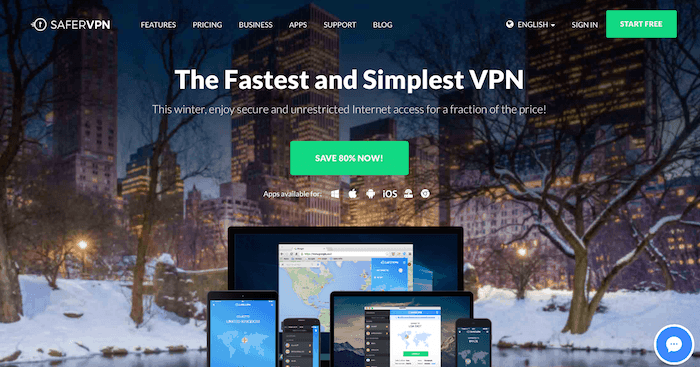 NordVPN provides some of the best VPN software tools in the market. Available for all platforms, these apps are easy to use and are stable on all devices. While NordVPN allows P2P connections, it also lets you unblock Netflix. And it offers really fast speeds, allowing you to stream content and enjoy your movies and TV shows without any lag. 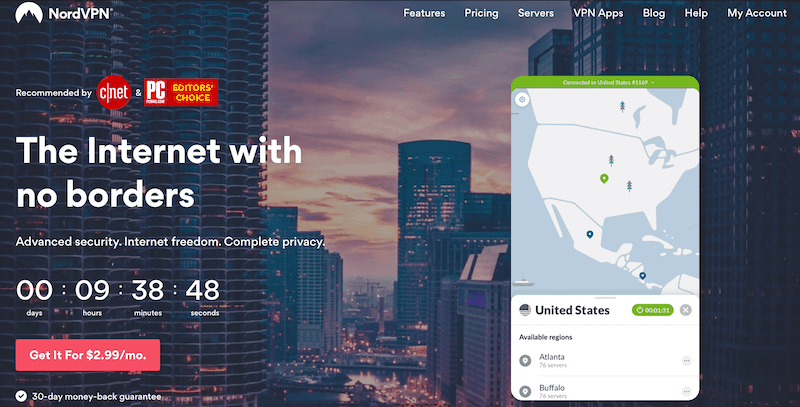 NordVPN has all the features to be called the best VPN service 2018 and 2019. Its prices are pretty average and you can make significant savings by getting their 3-year plan that drops the costs to as low as $2.99 per month. New users often shy away from long term plans but there’s nothing to worry as you’re covered by their 30-day money back guarantee. If you don’t like their services, you can cancel anytime within 30 days and get a full refund. They offer military grade encryption and double VPN that’s designed for users who crave extra security. Plus, NordVPN does not keep logs so your activities are safe from hackers and the government. HideMyAss is a very old name in the VPN industry. While it was traditionally popular for its free proxy (which is still there), its VPN offerings are far better. HMA probably has the largest network of all VPN providers. While it’s not the fastest VPN service, it definitely has good speeds. HMA can help you unblock Netflix on some of its servers. While it’s one of the seasoned players, its prices are not very high. In fact, they have standard market rates which go lower when you select a long term package. It offers military-grade encryption to ensure your data is not leaked to hackers or spies. With unlimited bandwidth, you can browse as long as you want without worries. It also has special business plans if you want a VPN for your entire team. It has 24/7 customer support so you can get quick assistance as soon as you need it. We tested the services for DNS and WebRTC leaks and no leaks were found, which means you get a very safe and secure connection. IPVanish VPN will keep you secure from hackers when you access public Wi-Fi. It has user-friendly apps for all major platforms. And since its apps are easy to install and use, you can get started in under a minute. It offers fast speeds that are great for accessing streaming services. With IPVanish, you can unblock several streaming services. However, it cannot unblock Netflix. But it does offer P2P support so if you like torrenting, you can download your favorite movies and shows. If you’re looking for a VPN just to unblock Netflix, IPVanish might not be the best choice for you. Nonetheless, there are several good things about IPVanish. With its military-grade AES-256 bit encryption, you are secure even from seasoned hackers. You also get several protocol options that include OpenVPN, IKEv2, and L2TP/IPSec. IPVanish has average prices and a 7-day money back guarantee. While a 7-day guarantee isn’t as good as the 30-day guarantee offered by others, it still lets you try the VPN services without any risk. While PureVPN has a number of exciting features, they have earned a bad name in the past for leaking user details to the government. Due to these past incidents, its popularity dropped a lot. However, PureVPN has updated its services as we hope it doesn’t keep a track of user activities anymore. With PureVPN, you get apps for all major platforms, which makes it easy to run the VPN on your phone as well as the computer. PureVPN offers 256-bit encryption and a number of protocols including OpenVPN, L2TP, and IKEv2. P2P offers split tunneling features that let some of your traffic be encrypted and some pass unencrypted. Its network is pretty impressive with servers in over 140 countries. It also offers a range of payment options from PayPal and credit cards to coin payments and Skrill. It has 24/7 live chat support, which is always comforting whenever you face any problems. PureVPN is very affordable and comes with a 31-day money back guarantee. While there have been incidents in the past, PureVPN promises that they didn’t breach their policy. 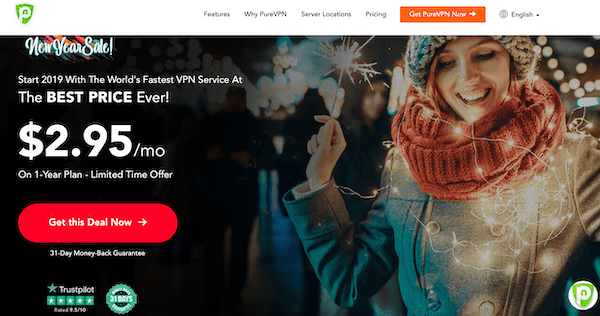 If you think you’re ready to believe them, PureVPN can be a good choice as it has several features and is very affordable. If you’re looking for a VPN to unblock Netflix, Zenmate can be a good choice. However, its speeds are decent at best. If you want to stream Netflix on your laptop or phone, Zenmate works great. But if you want to view HD videos, this might be a slight issue since Zenmate speeds aren’t exactly the best in the industry. Zenmate also allows P2P, which makes it a good choice for torrent lovers. And since it has apps for all major platforms, you can use Zenmate on any device you use. Zenmate provides a 7-day free trial. If you’ve consumed the free trial and liked the VPN, you can purchase a subscription. And if you change your mind after paying, you can still get a refund if you request it within 30 days of purchasing the subscription. Its prices are very affordable and it comes with a kill switch that will protect you even if the VPN connection breaks down. If you’re getting a VPN to bypass country restrictions, it’s best to read this page to see where Zenmate works and where it doesn’t. It offers AES-256 bit encryption, which is military grade and helps you stay protected even if a hacker is lurking on your connection. Ivacy is a Singapore based company that offers solid VPN protection to its users. While it has feature-rich services, its rates are pretty affordable. It allows users to unblock Netflix on US servers and BBC iPlayer on the UK servers. With military grade 256-bit encryption and support for protocols such as OpenVPN and L2TP, you can stay assured that your data is safe. Ivacy allows P2P, which means you can torrent your favorite movies and TV shows. While its speeds are not the best, it does allow decent streaming, gaming, and torrenting. The apps by Ivacy are very easy to use, especially for novice users. It can also be installed on a router to secure your IoT devices. But the best thing about Ivacy is their pricing. If you get their 5-year plan, your prices will go down to $1.33 per month! That’s as good as free. SaferVPN has servers in over 35 countries and provides excellent customer service. It offers strong 256-bit encryption and protocols such as OpenVPN and IKEv2. This means your data is going to be safe and cannot be hacked by your ISP or a hacker. If you’re a Netflix fan, you’ll be happy to know that SaferVPN is able to unblock Netflix. And that’s not all, SaferVPN has specific servers for P2P and torrenting. So whether you’re into streaming or torrenting, SaferVPN is a good option for you. With their high speeds, you don’t have to worry about lags and buffering while you stream or play games. 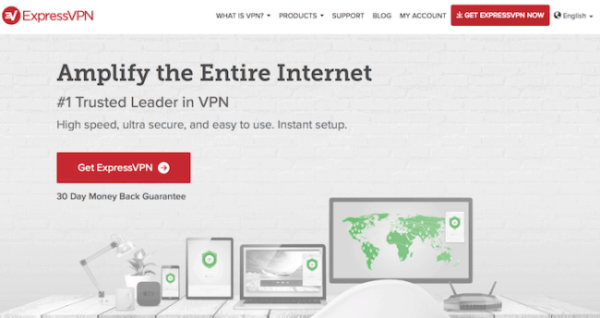 While SaferVPN offers several attractive features, its prices are very affordable. With long term plans, your costs will go down to almost nothing. SaferVPN offers a 1-day free trial and when you make a purchase, you’ll be covered with their 30-day money back guarantee. With SaferVPN, you get unlimited bandwidth, which means you can watch as many shows and movies as you want. SaferVPN offers 24/7 customer support using live chat. Their customer support is active and knowledgeable and they’ll fix your issues as soon as they arise. Private VPN offers strong encryption to protect your data as it travels on the internet. While the speeds of Private VPN aren’t especially impressive, they do provide unlimited bandwidth. If you’re a gaming lover, Private VPN might not be a good deal for you because of its slow speeds. However, it does protect your anonymity when you’re online. It has apps for all major platforms, which makes it very easy to run this VPN. While it does unblock Netflix, you’d find it hard to stream it in HD since its speeds are not the fastest in the industry. One good thing about PrivateVPN is that its prices are very affordable. Also, all plans are covered by a 30-day money back guarantee. If you feel that the services aren’t what you expected, you can claim a refund and get your money back. It offers military grade 256-bit encryption with protocols including OpenVPN and L2TP/IPSec. PrivateVPN offers 24/7 live chat support that will fix any issues as soon as they arise. They have servers in 60 countries, which is a fairly large network. 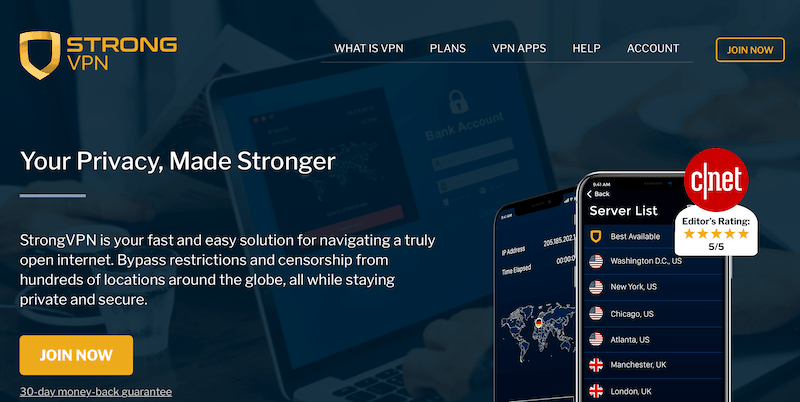 StrongVPN helps you bypass geo-restrictions by using its global network. However, with servers in only 26 countries, your choices are pretty limited. StrongVPN provides client apps that are easy to install and use. You can use it to unblock Netflix and watch your favorite movies and shows. And if you don’t like streaming, you can torrent files on your computer as StrongVPN supports P2P file sharing. While speed is not a strong point of StrongVPN, it does offer other benefits. It allows 12 simultaneous connections, which means you can use it on all the devices of your home by paying for just one license. Most other VPN companies offer only 3-5 simultaneous connections. It offers a range of protocol choices including OpenVPN, L2TP, SSTP, IPSec, and IKEv2. They also offer dedicated IPs. However, keep in mind that shared IPs offer higher anonymity than dedicated ones. If you’re a novice and don’t want to install apps on your devices, you can just buy a preconfigured router from StrongVPN. Overall, it’s a decent VPN and offers 24/7 customer support to fix any problems as soon as you face them. Buffered VPN offers servers in 37 countries and allows you to go anonymous when you’re connected to the internet. It helps in unblocking geo-restricted content and offers 256-bit encryption for high security. It offers unlimited bandwidth so you can browse the internet as much as you want. If you’re a streaming fan, you might be disappointed to learn that they cannot currently unblock Netflix. However, since VPNs keep adding new servers to their network, they might soon be able to unblock Netflix. While you cannot use Netflix, you can still use torrents to download your favorite movies and shows. As P2P is allowed on Buffered VPN, you’re free to download as many torrents as you want. They have easy-to-use apps for all major platforms and you don’t have to be a pro to use this VPN. Buffered doesn’t offer 24/7 customer support which can be disappointing. If you face a problem, you’ll need to email them and then you’ll need to wait for a few hours to get a reply. Although Buffered services are decent at best, their prices are somewhat above average. However, they do provide a 30-day money back guarantee so you can claim a refund if you don’t like their services. Our list of the top 5 VPNs can change as we regularly review the services offered and update our content. These, however, have managed to stay at the top for the better part of 2018. Since it hides your IP, you can access geo-blocked content without any problems. This could mean anything from accessing Netflix US library to opening websites banned in your university. And since the VPN encrypts your traffic, it protects it from anybody who might spy on it. This includes your ISP, the government, and even possibly a hacker. So basically, anyone who tries to access your data as it moves online will be unable to do it. Coming to why you should use a VPN, you can use a VPN to stay secure, protected, and anonymous when you go online. And that’s not all, it helps you access geo-blocked conten as it hides your IP address. VPNs are generally legal. A VPN might be legal or illegal for you, depending on the country you belong to. For most of the world, VPNs are legal. However, if you belong to China, Iran, Oman, Russia, Turkey, or UAE, you’ll need to use only government-approved VPNs. And if you’re from Belarus, Iraq, North Korea, or Turkmenistan, using a VPN would be illegal for you. In the rest of the world, it’s perfectly okay to use a VPN. When you use a VPN, the VPN company can see what you’re doing. If you use a free VPN, your data might be used by the free VPN company. Running a VPN takes a lot of resources and money. If a company is providing you VPN for free, they are planning to use their data. The best option is to use services from a company that doesn’t keep a log of that data. If a VPN company keeps logs, they’ll have to hand them over to the government if they receive a warrant. However, if they don’t keep anything in the first place, they can’t give any user details because they won’t have them. Apart from this, another downside of using a VPN might be slow speeds. But again, if you get services from the top VPN providers, you don’t have to worry about speed drops at all. How to Secure Devices in Your Internet of Things? If you have automated light/heat control and safety systems installed in your home, you can secure them with a VPN as well. This will ensure they are not hacked by outsiders. This is especially important if you have a home security system. To make sure your IoT network is secure, you can get a preconfigured VPN router or configure VPN on your existing router. This way, everything connected to the router will automatically be secured. Does a VPN Make Connections Slow? Yes, they do. When your data goes through the internet in a regular way, it is not encrypted. Now when you use a VPN, this data becomes encrypted. Since encryption needs extra processes, this slows down the connection. Keep in mind that not all VPNs will cause a drastic change in speeds. Some of the top VPN companies provide superfast speeds and the drop isn’t even noticeable. This is because they have superfast servers. If a company has only 10 servers, all users will share the resources of these servers, ultimately slowing down the network. However, if a company has 1,000 servers, its connections will be faster. So the speeds of VPNs vary from company to company. On average, the monthly plan of a good VPN will cost between $10 and $12. And if you select a longer package (for let’s say 2 years), the costs will fall down to about $3 – $6 per month. New users are generally hesitant in getting long term packages. This is why most VPN companies offer a money back guarantee so you can try a longer plan without any risks. If you think the plan isn’t what you expected it to be, you can claim a refund and get your money back. How Does a VPN Protect Me From Government Spying? When you use the internet, your ISP tracks your activities. If the government approaches the ISP for your details, the latter will hand it over without any problems. And since most governments spy on their citizens, chances are that the government already knows what you do online. But when you use a VPN, the data gets encrypted so your ISP cannot see what you’re doing online. And not just the ISP, even the government cannot see your activities since all the top VPNs offer military-grade encryption that’s almost impossible to break.